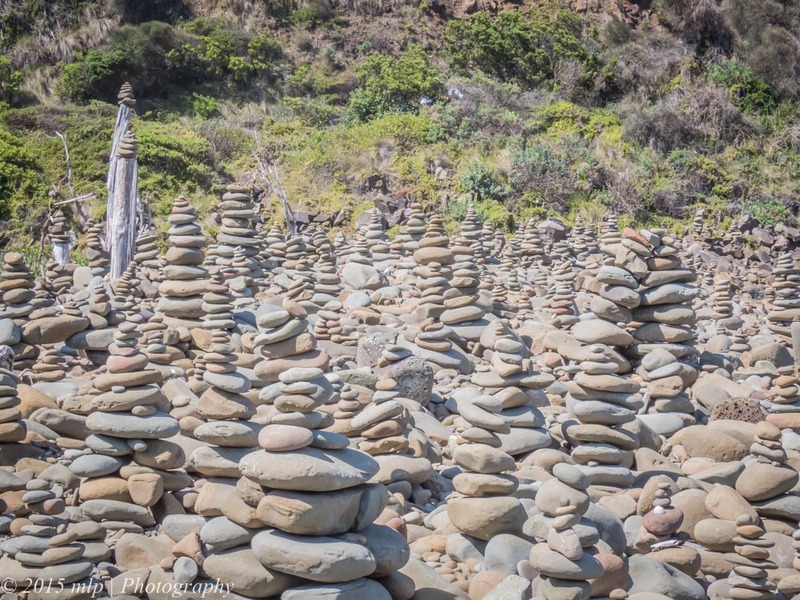 On the way to Apollo Bay I stopped off at a beach for a break from the drive south and to look at the hundreds of cairns that various visitors have built on the beach. 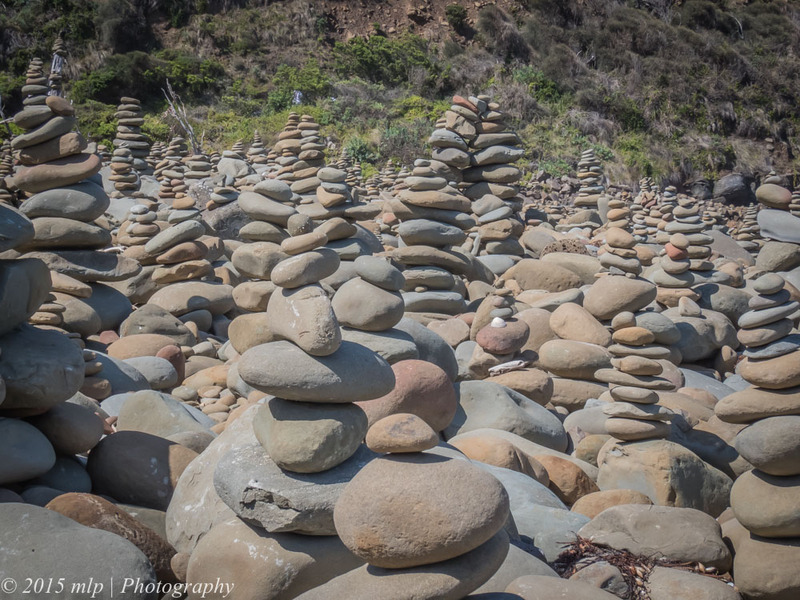 Some of the cairns were very well built and others were surprisingly delicate. 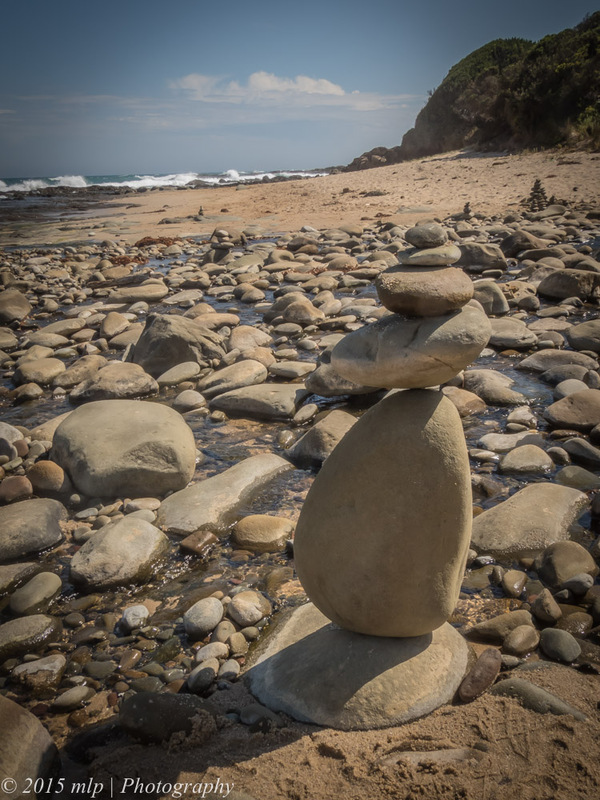 One was very impressive, balancing on small edges. 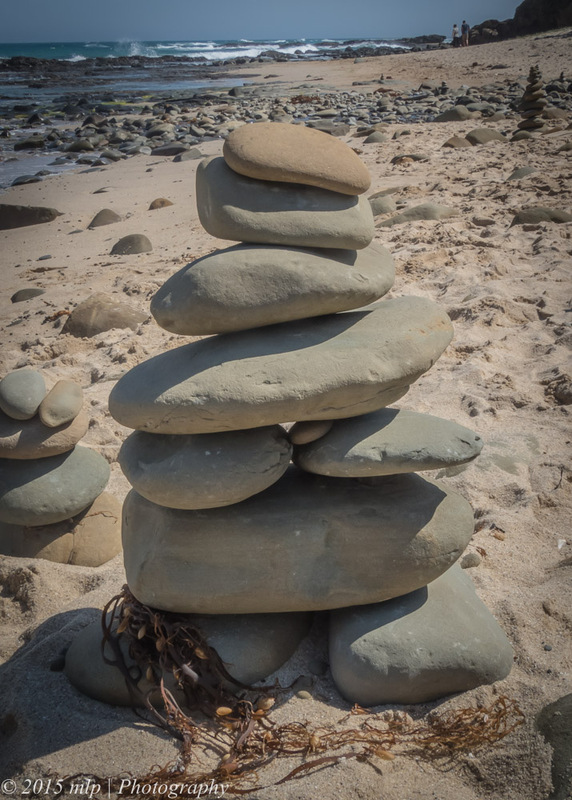 I spent some time photographing it and on the way back to the car I met the artist and his girlfriend laughing at my interest in his beach sculpture. 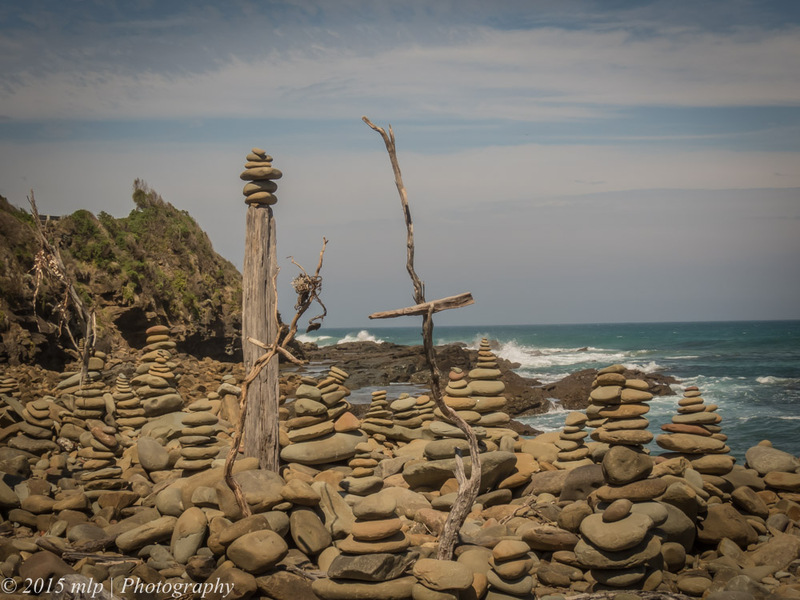 This entry was posted in Victoria and tagged Australia, Beach Art, Cairn Rocks, Great Ocean Road, Photography, Rock cairns, Victoria. Bookmark the permalink. 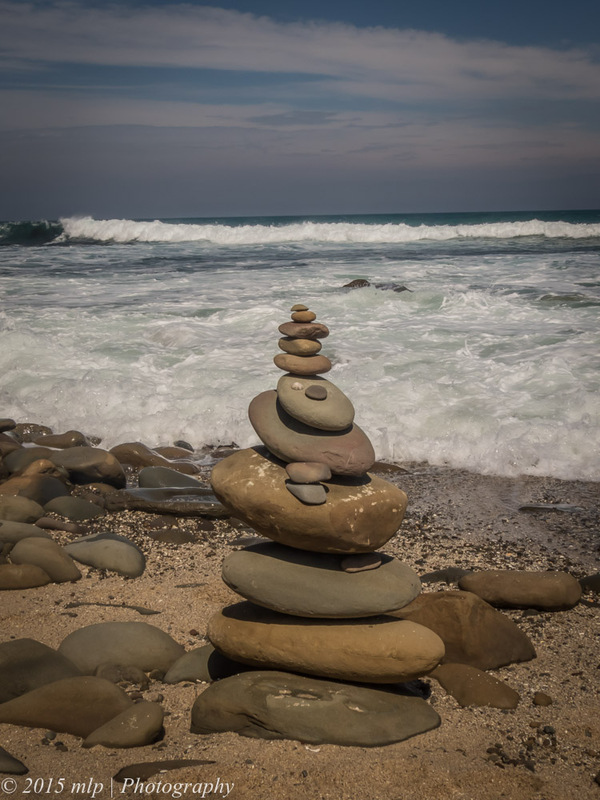 artistic magic as waves break behind the varying balancing rocks. 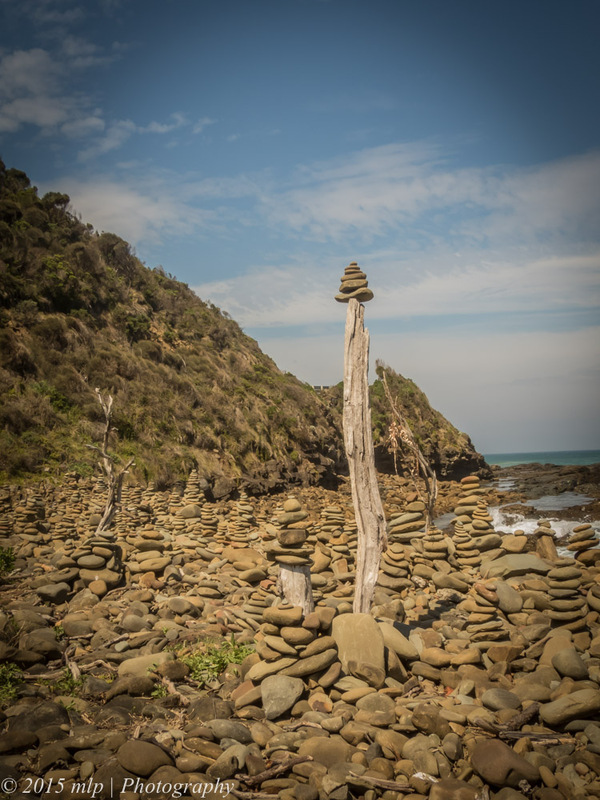 Hey, could you please tell me where they are along the road to Apollo bay, would love to see them!! 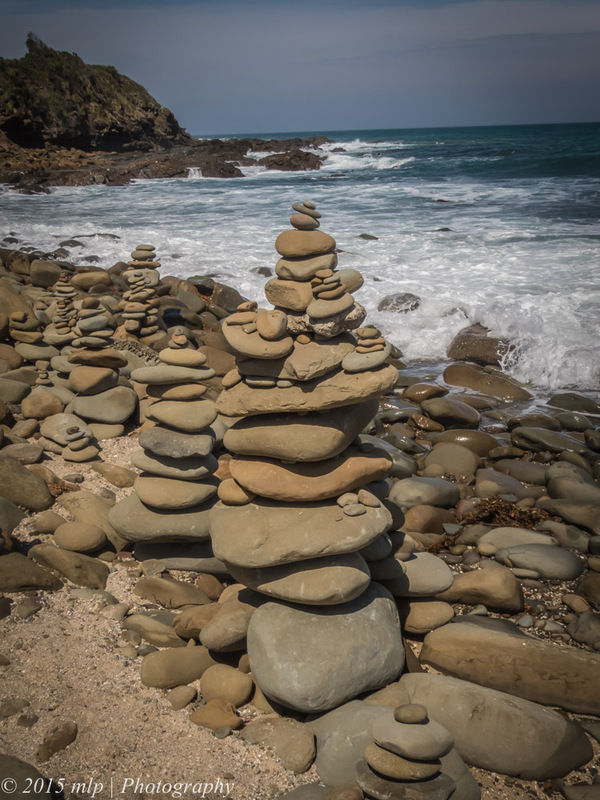 Hi, I am not exactly sure the location, but you can’t miss them if you drive along the ocean road. I tried to find the location ad more information on Google but very little is mentioned about the site. I saw them today. Fantastic! It’s about 5 minutes past Kennet River heading towards Apollo Bay. Saw them today, fantastic. About 5 mins past Kennet River heading towards Apollo Bay.